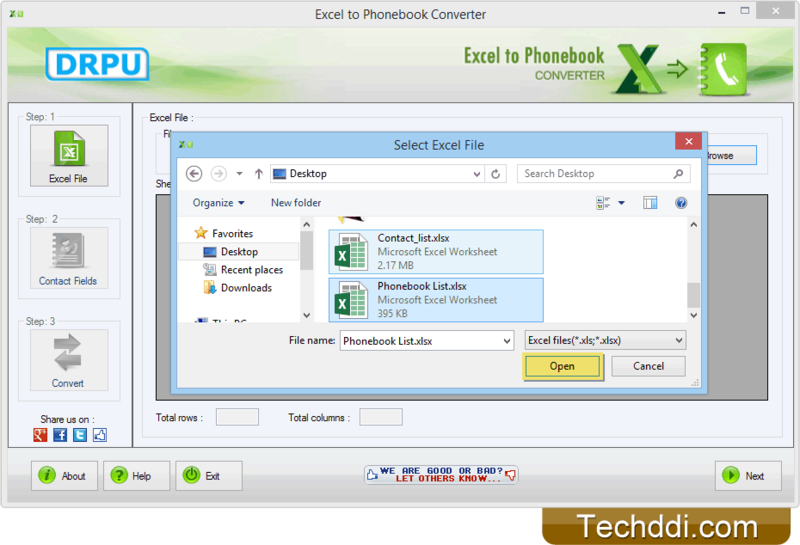 Select excel files of contact list to convert into phonebook file format. 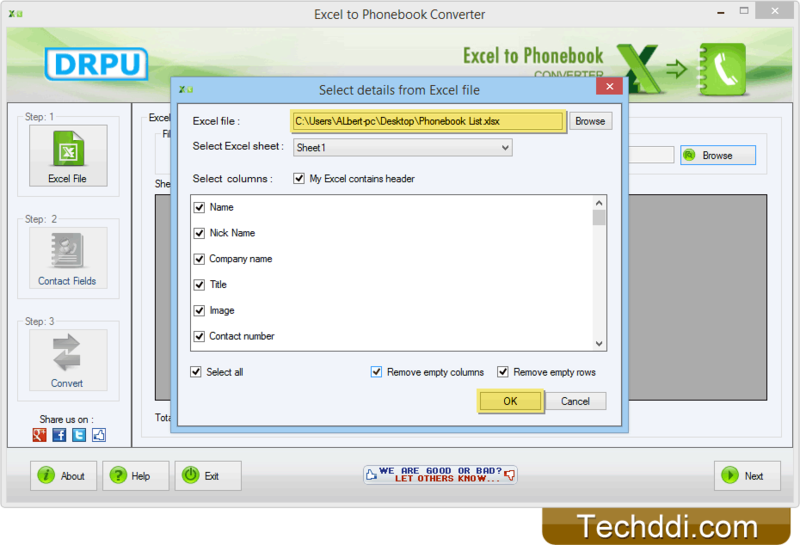 Select excel sheet, excel columns and check on Remove empty columns and Remove empty rows option. 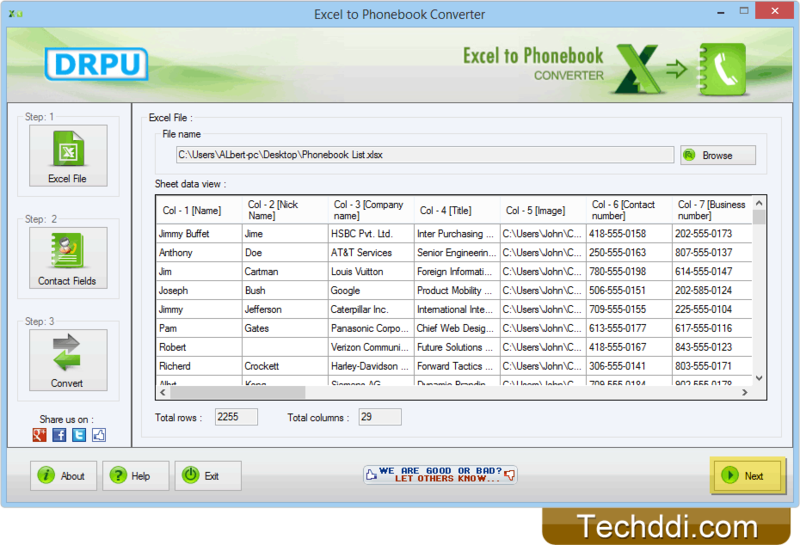 Here you can see the sheet data view with contact information. Click 'Next' button to continue. 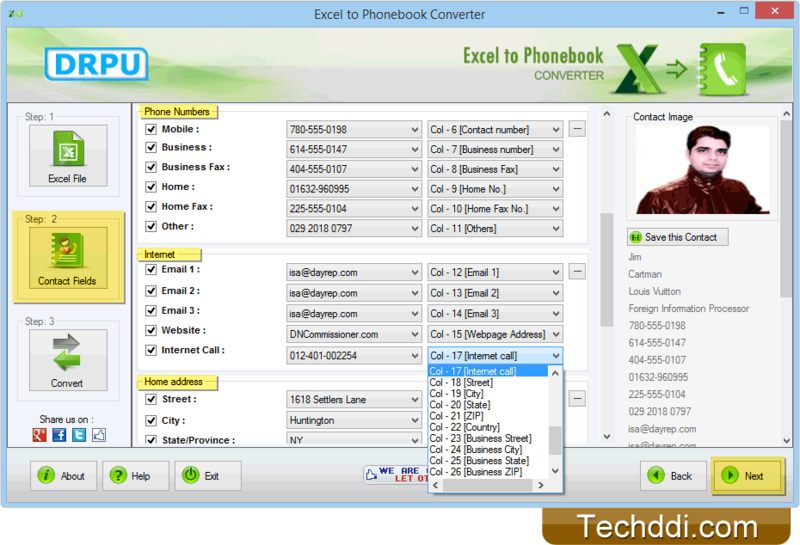 Select various contacts fields including Phone Numbers, Emails, Home Address etc. Click 'Next' button to proceed. 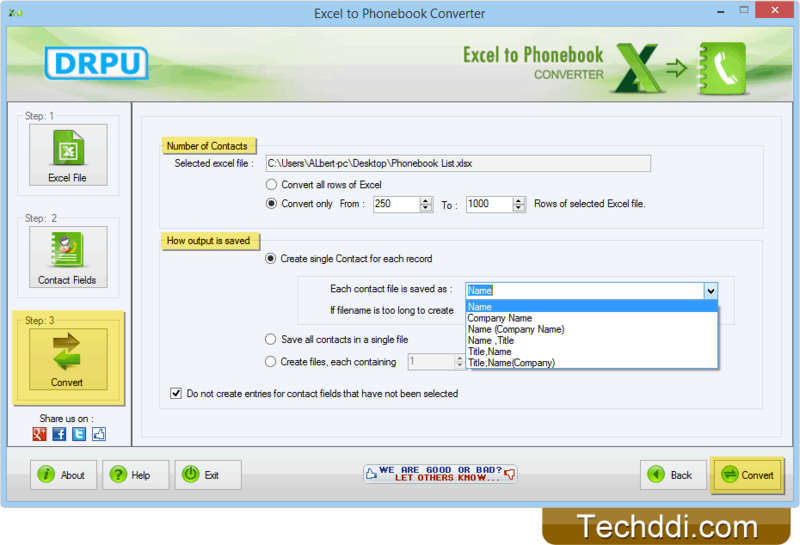 Select Number of Contacts to convert, choose 'How output is saved' options and click 'Convert' button to start conversion process. 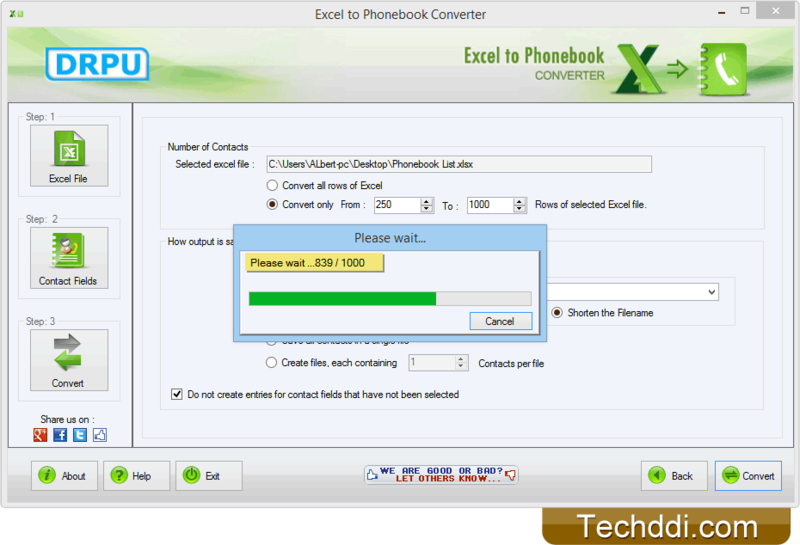 After clicking 'Convert' button you can see the current running status of conversion process.